Posted on May 8, 2018 by Kobe L.
On Friday, April 13th, the Dallas Cowboys formally parted ways with star WR Dez Bryant. Cowboys owner and general manager Jerry Jones has come out and stated that the Cowboys do not believe they have a receiver that can come in and completely take over the “WR1” mantle previously held by Dez. This is a sound assumption as there are no real wide receiver prospects in the 2018 draft that look as though they would be home-run picks like Odell Beckham Jr. or Julio Jones. However, there are many receivers that look to be solid WR2 receivers that have the potential to turn into WR1 caliber receivers. The release of Dez Bryant has led to many tying the Cowboys with drafting a WR in the first round. However, the timing of this release seems to state otherwise. As many teams do not want to give any hints as to what their draft plans may be, the timing of Dez’s release seems intriguing. If the Cowboys really were planning on drafting a receiver at 19 or potentially even trading up in the draft, keeping Dez– business wise– may have been the best move to hide a lack of star receiver power. As a result, it seems as though the Cowboys are not planning on actively pursuing a receiver, but may instead be pointed to drafting a defensive player in the first round to add to their lineup. Furthermore, the signings of Allen Hurns and Deonte Thompson seem to indicate they are fine with drafting a receiver in some of the later rounds of the draft, as this receiver class, though lacking in star power, has solid options that can be selected in the second and third rounds. With Sean Lee getting a year older and David Irving potentially being suspended to start the season, the Cowboys have more pressing needs at linebacker and defensive tackle and would be in their best interests selecting one of those positions over WR. 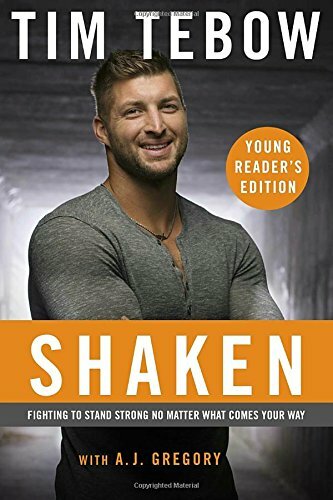 Posted on February 13, 2018 by Skylar N.
When I saw that Tim Tebow would write a young readers copy of his book Shaken, which I read and loved, I was ecstatic! I adore Tim with everything he does, and this book is no different! The book starts off with Tim going through a tough time in his life: getting let off from the Eagles. He explains how he got through it and how we can all get through tough times by letting God lead us and remembering his love for us. 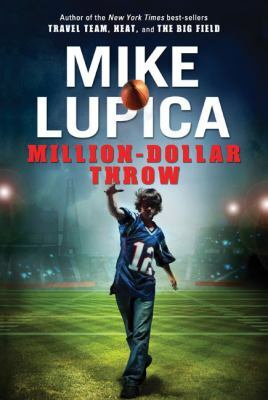 Throughout the book he let’s us into the kid’s life’s that he has worked with and how tough they have it and what he has learned from it. He never comes off as having an ego and always tries to tell us that it doesn’t matter how people view you on Earth, it doesn’t matter if you are popular, we are all equal in God’s eyes! I believe this book would be perfect for any child going through a tough time (especially if they know Tim and enjoy football). It really manages to hold the readers attention. Thanks to Blogging for Books for sending me a copy to review. Posted on November 23, 2017 by Skylar N.
Catching Jordan by Miranda Kenneally is truly rare. 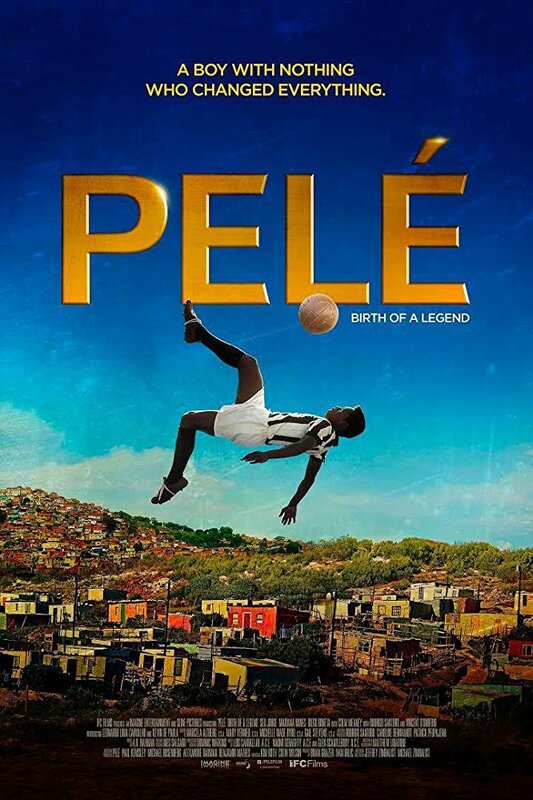 How many books do you know that contain a female football player? I can only think of one (other than this one). Boy does this book hook you in. It starts off during a football game. This is Jordan’s senior year of high school so she wants to do her best as captain so her dream college (Alabama) will take notice of her as the football player she is, and not just as a female. All of the players on her team respect her for who she is, a really great football player. But her and Henry are best friends. So much so that they have sleepover’s together and they sleep in the same bed, head to toe. “Later that night, Henry slept over at our house. He has always stayed in Mike’s room, but in the middle of the night, Henry sneaked into my bed because he’s had a horrible dream he’s been eaten by a whale. But during Jordan’s senior year, a new player comes named ‘Ty’ and he wants to be quarterback just as much as Jordan does. But Jordan feels something towards Ty, that she has never felt before. Eventually she starts dating Ty but it just doesn’t feel right to her. She starts thinking back to Henry. You will need to read the book to figure out the ending though. All in all, I thought this was a super sweet book and I thought that both Henry and Ty were great people. Unfortunately this book is not available at the Mission Viejo Library, but it is available through the OCPL system.